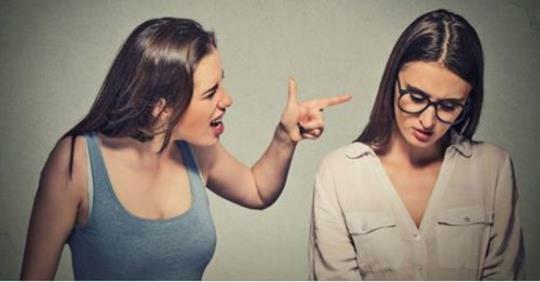 We all have that one friend who we think is especially mean to us because the person is so blunt at times that it can be quite painful. Very often when this friend of ours speaks out their mind, we tend to turn a deaf ear to the things they say because we think they’re being deliberately mean. Research, however, shows quite the contrary. When a friend is being blunt to the point of hurting you, they are possibly not being mean but actually have your best interests at heart. The adage ‘sometimes you have to be cruel to be kind’ is an apt way of describing the thoughts behind their actions. That friend of yours who constantly goads you about various aspects of your behavior, annoying you to the point of wanting to sever ties with them is actually someone who is genuinely concerned about your well-being. According to a study released in Psychological Science, friends who deliberately tend to rub you the wrong way are actually trying to prepare you for the hurdles that you will have to face on your own when they’re not around to help you out. More than a hundred volunteers were involved in this study conducted by the University of Plymouth. Participants involved in the study were presented with different situations and asked to record their behavior in each situation. People involved in the study realized that they tended to be harsher towards another person if they thought it would benefit the other person in the long run. For example, creating a fear psychosis in a person’s mind about impending failure was a strategy used by many in the study. This confirmed what researchers already suspected. Close people weren’t negative all the time but only used negative emotions in situations they thought would work to the other’s advantage. Basically what the study proved was that one should not take a close friend’s rantings to heart. The next time this person is mean or starts berating you about something that you think is not right, step out of the picture for a minute and analyze what they are really trying to say. You’ll probably realize that there is a whole lot of truth to what they were trying to advise you about in the first place. However, it is equally important for you to understand that not everyone who is tearing into you means well. There are those obsessed with pulling you down anyway and you need to be aware of such people.